Another eye-popping lottery prize of $456.7 million was claimed over the weekend, cracking our list of the 20 largest jackpots in US history. A single winning ticket was sold in Pennsylvania, but there's no word yet on who the lucky winner is. The grand prize clocked in as the 11th largest of all time. That includes jackpots racked up by both the Powerball and Mega Millions games, which are the two most widely played lotteries in the United States. Here's where the rankings stand now. January 13, 2016: The record-shattering jackpot was split three ways by Mae and Marvin Acosta from Chino Hills, California; John and Lisa Robinson of Munford, Tennessee; and Maureen Smith, a 70-year-old from Melbourne Beach, Florida. The Robinsons appeared on NBC's "Today" show before cashing in their ticket. They opted to take their $528.8 million share of the prize in one lump-sum payment of $327.8 million. (Jackpot prize amounts are the annuity jackpots paid out over 30 payments, even though almost all winners chose to take a lesser lump sum of cash). Smith told the Florida Lottery that she had played the lottery -- and bought tickets with the same six numbers -- for years before winning the jackpot. The Acostas refused to speak to the media. They assembled a team of advisers and waited six months before claiming the prize. August 23, 2017: The winning ticket was sold in Chicopee, Massachusetts, to Mavis Wanczyk, who won the largest jackpot with a single winner in American history. The 53-year old said she would retire early and that she immediately quit her job. March 30, 2012: This jackpot had three winners. A retired couple from Illinois, Merle and Patricia Butler, received one of the slices of the top prize. "We are just everyday people who have worked hard all our life...We just happened to hit it big," Merle said. 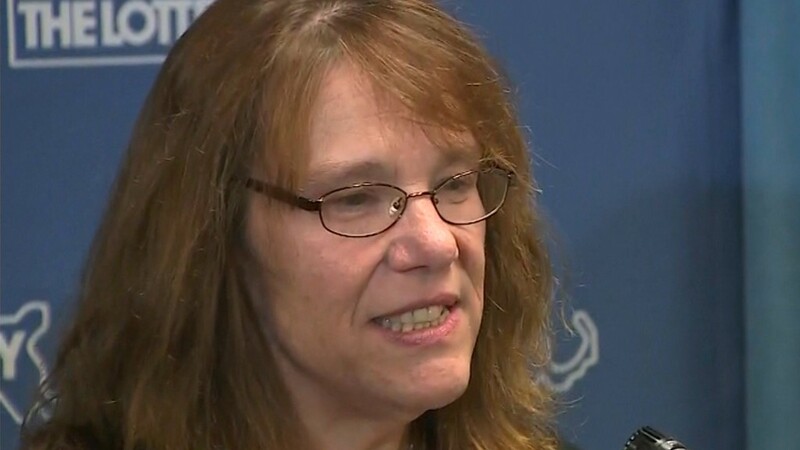 Patricia added that they planned to use "part of the winnings to do some real good." 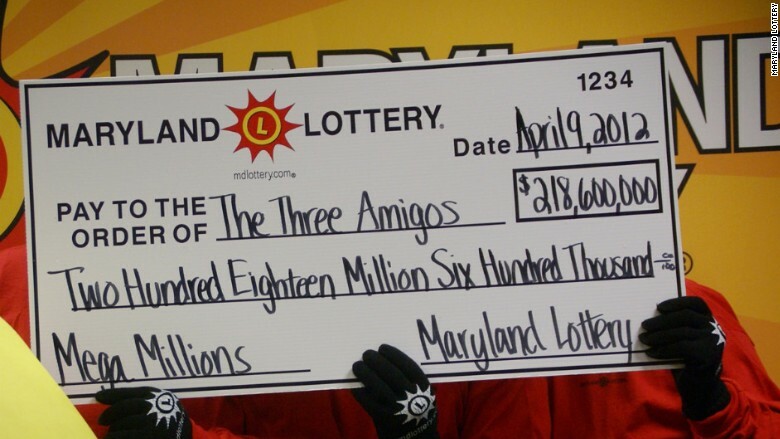 Another winning ticket was divided among a group of friends in Maryland who dubbed themselves the "Three Amigos." The third winner is still unknown. That ticket was purchased in Kansas, which is one of the states that allows lottery winners to remain anonymous. 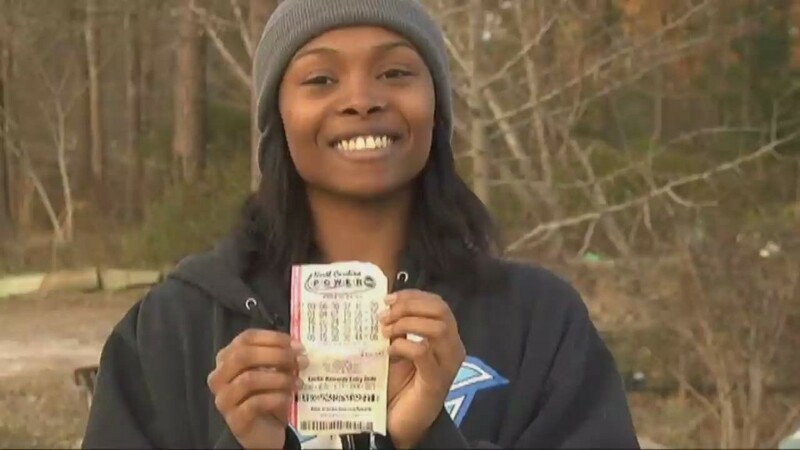 December 17, 2013: Two winners split this jackpot, including Ira Curry, a Georgia woman, who said she bet on a combination of family birthdays. The other winner, Steve Tran, was working as a delivery driver when he bought a Mega Millions ticket in San Jose, California. Tran said he called his boss after he won to say, "I hit the jackpot. I don't think I'm going to come in today, tomorrow, or ever." May 18, 2013: 84-year-old Gloria Mackenzie of Florida had the one-and-only winning ticket, but it could've easily gone to someone else. "While in line at Publix, another lottery player was kind enough to let me go ahead of them in line to purchase the winning quick-pick ticket," Mackenzie said. A grocery store customer let Gloria Mackenzie go ahead in line and she bought the winning ticket for Powerball's largest jackpot ever. November 28, 2012: Two winning tickets -- Matthew Good of Arizona and Cindy and Mark Hill of Missouri. 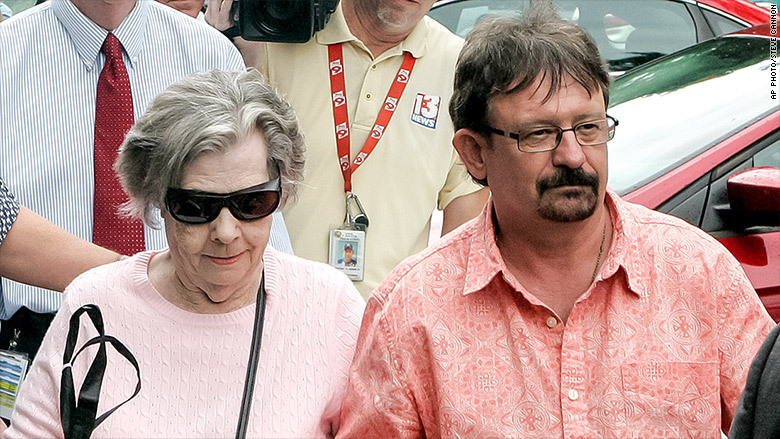 February 11, 2015: Three winners -- Marie Holmes of North Carolina; Andrew Weber, who claimed it on behalf of a trust in Texas; and an anonymous player in Puerto Rico. Jan. 6, 2018: A single ticket was sold at Reeds Ferry Market in Merrimack, NH. The winner was announced just one day after there was a winning ticket announced for a $450 million Mega Millions jackpot. The winning ticket holder has yet to come forward. July 8, 2016: A single winning ticket was sold in Indiana. July 30, 2016: The lone winning ticket was sold in New Hampshire. March 17, 2018: One winning ticket was sold in Pennsylvania. Jan. 5, 2018: The single winning ticket was sold at a 7-Eleven in Port Richey, Florida. It was the first jackpot winner after new rules were put in place in October that made it harder to win Mega Millions. The holder of the winning ticket has yet to come forward. August 7, 2013: Three winning tickets -- a project engineer in Minnesota, a 70-year-old man in New Jersey, and a group of 16 victims of Superstorm Sandy. June 10, 2017: One winner -- Jeff Lindsay of California, who bought his Powerball ticket with the funds from a winning scratch ticket. February 22, 2017: An anonymous ticket holder in Indiana was the sole winner of this massive jackpot. May 7, 2016: The one jackpot winner was drawn in New Jersey, held by the Smith family lottery pool. February 19, 2014: B. Raymond Buxton of California was the drawing's sole winner. 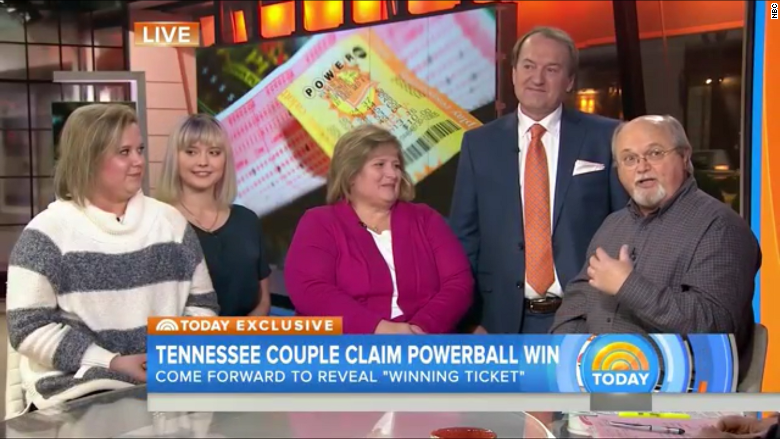 November 26, 2016: A group of 20 longtime co-workers in Tennessee bought the winning ticket in Lafayette, Tennessee. March 18, 2014: Two winning tickets -- an anonymous player in Maryland and Floridians Raymond Moyer and Robyn Collier. September 18, 2013: An anonymous winner in Lexington, South Carolina.